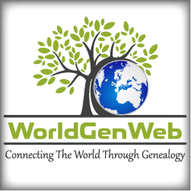 The purpose of the WprldGenWeb Project is to provide guidance and advice to researchers who are trying to trace their ancestors various countries of the world. The WorldGenWeb Landing Pages are part of the WorldGenWeb Project. Charles Wardell is administering these pages.